Synco Label 2018 is a card and card holder system that uses dedicated printers. 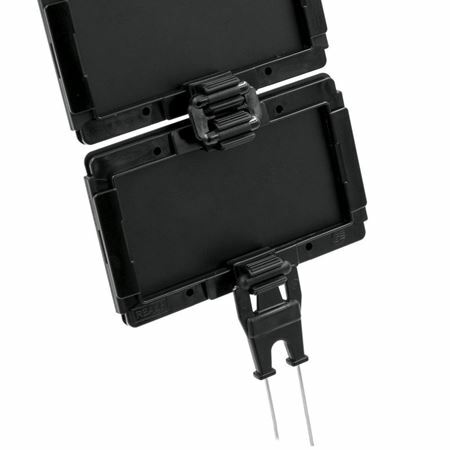 The card holder is compatible with Synco accessories. The system is suitable for food contact. You will make your departments tidier with a uniform and complete price card customisable. You can update and print price cards independently when you need them, directly at the point of sale in a few seconds. Present the mandatory information for consumers: origin, price, units of measurement, ingredients, allergens, etc. in a simple way. 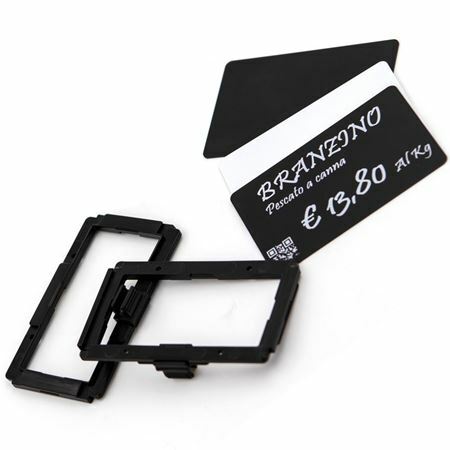 The card holder frame will allow you to position the converter on all sides and each side is equipped with housing for information inserts: it is therefore possible to use it both in "landscape" and "portrait" and also you can connect multiple frames together.